The importance of internet marketing cannot be overstated! You can spend as much money as you want developing a fantastic website but there is no magic code that brings visitors to your site. This is true in the physical world as well as the digital world. Make sure you budget for marketing or all your efforts building that perfect website will be all for nothing! 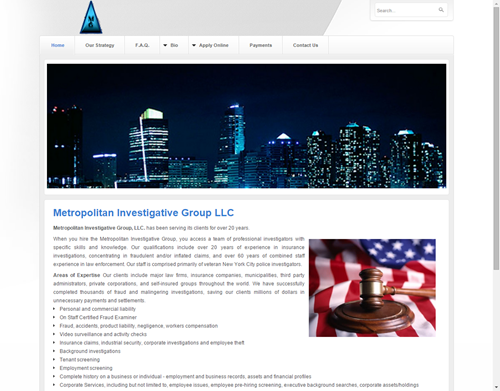 Metropolitan Investigative Group LLC is an information website with advanced forms.